The asymmetric dominance effect (ADE) occurs when the introduction of a partially dominated decoy option increases the choice share of its dominating alternative. The ADE is a violation of regularity and the constant-ratio rule, which are two derivations of the independence of irrelevant alternatives axiom, a core tenant of rational choice. The ADE is one of the most widely reported human choice phenomena, leading researchers to probe its origins by studying a variety of non-human species. We examined the ADE in brown capuchin monkeys (Cebus apella), a species that displays many other decision biases. In Experiment 1, we used a touchscreen method to elicit choice-based preferences for food rewards in asymmetrically dominated choice sets. In Experiments 2 and 3, we distinguished between different types of judgments and used a free selection task to elicit consumption-based preferences for juice rewards. However, we found no evidence for the ADE through violations of regularity or the constant-ratio rule, despite the similarity of our stimuli to other human and non-human experiments. 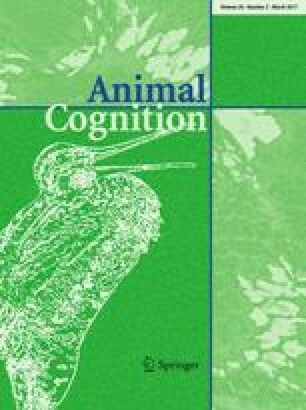 While these results appear to conflict with existing literature on the ADE in non-human species, we point out methodological differences—notably, the distinction between value-based and perception-based stimuli—that have led to a collection of phenomena that are difficult to understand under a unitary theoretical framework. In particular, we highlight key differences between the human and non-human research and provide a series of steps that researchers could take to better understand the ADE. The authors wish to thank Jane Wildness, Melissa Baranay, Cam Cullman, Linda Chang, Nick Buttrick, Molly Lucas, Lars Knudsen, Sarah Sentmore, Matthew Roth, Angie Johnston, and Ellen Furlong for their help in running these studies. We also thank Shane Frederick for his help in working through the results of this study. This research was supported by Yale University and a McDonnell Scholar Award to L.R.S. This research was conducted in compliance with federal laws of the USA and with the regulations of Yale University. The protocol for non-human primates was approved by the Institutional Animal Care and Use Committee at Yale University (Protocol Number: #2008-10678).